In 1967, a 17-year-old Salva Kiir joined the Ayanya Rebellion (1955-1972), an armed effort to establish a separate state in South Sudan. Following the 1972 Addis Ababa Agreement that brought an end to Sudan’s First Civil War, Kiir was among those Anyanya guerillas who were integrated into the Sudanese Armed Forces or the Wildlife Protection Service (many other irreconcilable fighters went south to Idi Amin’s Uganda). He graduated from the Sudan Military College in Omdurman and went on to serve as a major in Sudanese military intelligence. Having joined the renewed Southern insurgency in 1983, Salva Kiir’s skills and influence were recognized when he was made a member of the SPLA/M High Command Council, alongside notable Southern soldiers such as Colonel John Garang de Mabior (who emerged as SPLA/M Chairman), Lieutenant Colonel Karabino Kuanyin Bol, Major Arok Thon Arok and Lieutenant Colonel William Nyuon Bany. Of these figures, only Salva Kiir survives. Kiir began to play an important political/diplomatic role in 1993 when he led the SPLM delegation to the OAU-sponsored Sudan Peace Talks in Abuja. Kiir took over as John Garang’s deputy following the death of William Nyoun Bany in 1996. He again led the SPLM delegation to the Inter-Governmental Authority on Development (IGAD) sponsored Sudan peace talks in Kenya that paved the way for the ground-breaking 2004 Machakos Protocol. Increasing differences between Kiir and SPLA chairman John Garang in 2004 led to unsuccessful attempts by Garang to replace the popular military leader as commander-in-chief of the SPLA (Sudan Vision, July 8, 2005). There were in turn rumors that Kiir was planning to depose Garang and install veteran politician Bono Malwal in his place. John Garang was Sudan’s foremost advocate of a united but democratic and federal Sudan that would incorporate Sudan’s many peoples into Sudan’s narrowly defined power structure, traditionally dominated by three Arab tribes of North Sudan. His vision on a “New Sudan” often placed him at odds with the rest of the SPLA/M leadership, many of whom advocated for an independent South Sudan. These divisions grew as the civil war showed few signs of ending and attitudes towards the North hardened. Garang became increasingly intolerant of internal challenges to his program and used force to maintain ideological discipline. 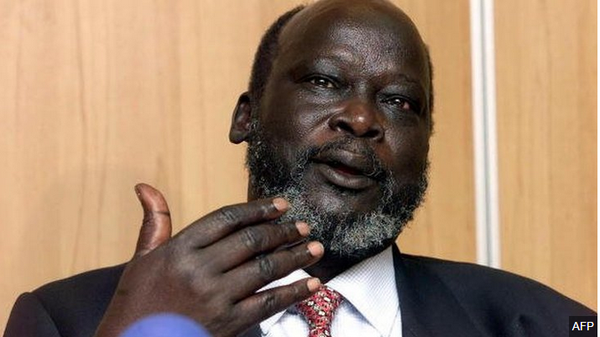 However, Garang’s vision appears to have died with him in the helicopter crash that claimed his life in July 2005, only months after negotiating the Comprehensive Peace Agreement (CPA) that ended the civil war. Unlike Garang, Salva Kiir is a separatist who quickly changed the official direction of the SPLM into an independence movement from a national unity movement, finding much support and little opposition for the change. The CPA established a Government of National Unity (GNU) in Khartoum and a Government of South Sudan (GoSS) based in Juba, with the GoSS President automatically becoming first vice-president of Sudan. Since Garang’s death, Kiir has served as first vice-president of the Sudanese GNU and president of the GoSS. Kiir was not everyone’s choice as the movement’s new leader, but it was important to follow the established line of succession for the SPLA/M to maintain its international credibility as a partner in the CPA and prevent the movement from shattering. The result was a unanimous vote on the part of the SPLA/M High Command Council to elect Kiir as SPLM chairman and commander-in-chief of the SPLA. He was reelected by unanimous vote in 2008. Kiir is not a forceful speaker but has used other methods to establish his public presence. 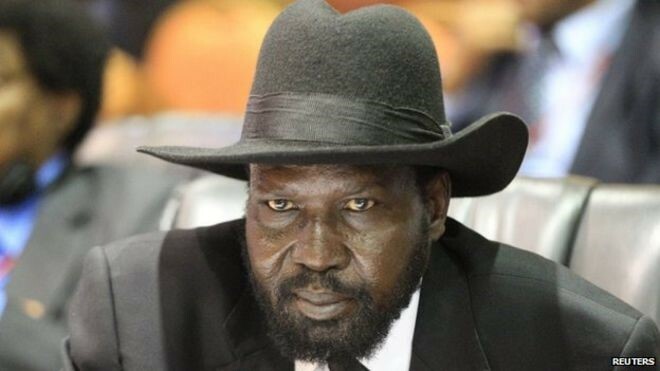 Like most Nilotic peoples of the South Sudan, Kiir is unusually tall by Western standards and cuts a distinctive and memorable figure in his typical black suit, red tie and broad-brimmed black hat (the latter innovation has since been adopted by many of Darfur’s rebel leaders). It was widely expected that John Garang’s appointment to first vice-president of the Sudan under the terms of the CPA would mark the beginning of a new approach to the crisis in Darfur, but his death and the subsequent takeover of Salva Kiir as vice-president instead marked the beginning of a more muted approach by the SPLA/M to the Darfur issue. The movement’s attempts to unite the fractious Darfur rebels have been largely unsuccessful and even the SPLA/M’s limited efforts to help forge a solution to the Darfur crisis have been discouraged by Khartoum. Sudan’s National Intelligence and Security Service (NISS) recently demanded that South Sudan arrest Darfur rebel leaders who are resident in the South (Sudan Tribune, November 8). Salva Kiir has nonetheless encouraged the unification of the many Darfur rebel movements and his discussions with Dr. Khalil Ibrahim’s Justice and Equality Movement (JEM – the strongest rebel group in Darfur) have proved especially worrisome for Khartoum. With Kiir uninterested in the national presidency, the SPLM decided to run Yasir Sa’id Arman, a northerner and longtime member of the SPLM leadership, for the presidency in the April elections. However, Arman and the other leading challenger, former president and Umma Party leader Sadiq al-Mahdi, both decided to withdraw from the election citing irregularities. Following the withdrawal of the SPLM from the presidential contest, Kiir surprised many by saying he had voted to re-elect National Congress Party (NCP) chairman Omar al-Bashir as president of Sudan (Sudan Tribune, April 18). Kiir has accused Khartoum of sending only 26% of Sudan’s oil revenues to the southern capital of Juba, rather than the 50% called for in the CPA (Sudan Tribune, October 1). Nearly 50% of the revenues that have reached Juba have gone to an ambitious rearmament program in the South intended to place the SPLA on a more even footing with the conventional forces of the SAF. Efforts have even begun to create a Southern Air Force. Under the terms of the CPA, the SAF and the SPLA became the only legal armed groups in Sudan. The many independent or pro-Khartoum militias operating in the South were given the option of disarming or joining one or the other legal armed forces. Naturally it became imperative for the SPLA/M to integrate these forces rather than allow pro-Khartoum armed groups to continue their existence in the South, but the process has been slow and even appeared to be failing in the last year as a number of SPLA commanders rebelled against Salva Kiir’s government in the aftermath of the April elections, which the dissidents complained were fixed in favor of Kiir loyalists. In January 2006, Kiir’s negotiations with longtime anti-SPLA militia commander Paulino Matip Nhial resulted in the traditionally pro-Khartoum Bul Nuer commander joining the SPLA/M. The so-called “Juba Declaration” incorporating “other armed groups” into the SPLA/M was a major coup for Kiir and an important step in convincing remaining Nuer and other tribal dissidents to cooperate with the SPLA/M in the lead-up to the referendum. 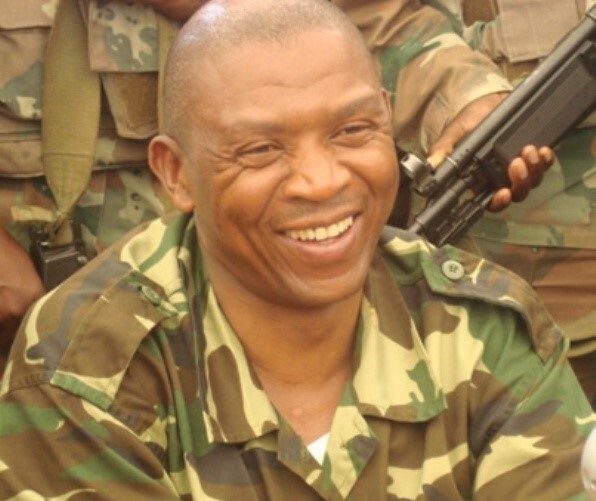 Paulino Matip was rewarded by being made Deputy Commander of the SPLA, with promotion to full General in May, 2009 (splamilitary.net, May 31, 2009). Lieutenant General George Athor: George Athor, a Dinka tribesman, ran as an independent for governor of Jonglei State in the April elections after having failed to receive the nomination of the SPLM. Unhappy with his loss in the polls, Athor and his men began a series of heavy clashes with SPLA forces in late April through May. Athor threatened to take the Unity (Wilayah) State capital of Malakal while SPLM Secretary General Pagan Amun accused him of being a pawn of the NCP (Sudan Tribune, May 17; al-Hayat, May 14). Athor’s men are now reported to be rejoining SPLA forces in Jonglei under the command of Major General Peter Bol Kong (Sudan Tribune, November 9). Major General Gabriel Tang: Tang led a pro-government militia in the civil war. After clashing with the SPLA in 2006, Tang withdrew to Khartoum, where his forces were integrated with the Sudan Armed Forces (SAF). An unannounced return to Malakal in February 2009 led to further clashes with the SPLA that left hundreds dead before Tang returned to Khartoum.Tang responded to the amnesty offer within days by flying to Juba and declaring his allegiance to the SPLA/M (Sudan Tribune, October 15). David Yau Yau: A civilian from Jonglei, David Yau Yau is a member of the Murle Tribe and is tied to George Athor. Yau launched a small rebellion in Jonglei’s Pibor county after being defeated in the April elections. He was not named in the September 29 pardons, but is expected to follow George Athor’s lead (Miraya FM [Juba], July 5; Small Arms Survey, November 2010). 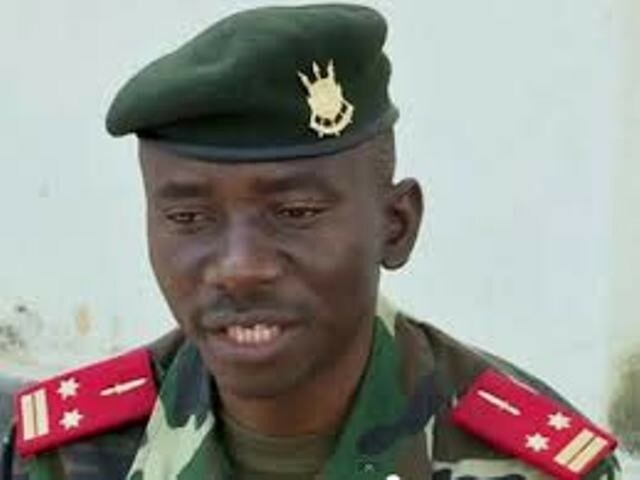 Colonel Gatluak Gai: A Colonel in the Prisons Service of South Sudan, this relatively unknown officer from the Jaglei Nuer led a short-lived rebellion in May-June against the SPLA/M in Unity State following the April elections. Several sources reported Missiriya Arab fighters amongst Gai’s force. The Colonel fled north after clashes with the SPLA and has not responded to offers of an amnesty (Gurtong.net, November 18; Sudan Tribune, June 4; Jonglei.com, June 30; Small Arms Survey, November 2010). Kiir’s decision not to contest the April 2010 Sudanese presidential elections in favor of running for president of the South Sudan was a clear sign the SPLA/M was no longer a national movement. With little real opposition, Kiir was returned to office with 93% of the vote. As president of the South Sudan, Kiir was automatically made vice-president of the national Sudanese government. In the ever-revolving world of Sudanese politics, Dr. Riek Machar, a Nuer warlord who spent many years dedicated to the destruction of the SPLA/M, was made vice-president of the GoSS. Salva Kiir’s statement to supporters in Juba that he intended to vote for separation because the North had failed to make unity attractive was condemned by NCP official Rabie Abd al-Lati Obeid, who noted that the CPA “stated clearly that the SPLM with the National Congress Party should work together to achieve unity and to make unity attractive during the interim period…This is a clear violation of the CPA and it is against that agreement…” (Sudan Tribune, October 1; VOA, October 3). Critically important is that the referenda take place on time, as stipulated in the CPA. Delay or denial of the right of self-determination for the people of Southern Sudan and Abyei risks dangerous instability. There is without question a real risk of a return to violence on a massive scale if the referenda do not go ahead as scheduled… We are genuinely willing to negotiate with our brothers in the North, and are prepared to work in a spirit of partnership to create sustainable relations between Northern and Southern Sudan for the long-term. It is in our interest to see that the North remains a viable state, just as it should be in the interests of the North to see Southern Sudan emerge a viable one too. The North is our neighbor, it shares our history, and it hosts our brothers and sisters. Moreover, I have reiterated several times in my speeches in the past that even if Southern Sudan separates from the North it will not shift to the Indian Ocean or to the Atlantic Coast! (Gurtong.net, October 4). The most contentious issue Kiir must deal with is the future of Abyei, a disputed territory lying along the border of Kordofan (North) and Bahr al-Ghazal (South). A separate referendum to be held simultaneously with the independence vote will determine whether Abyei joins the North or the South. Most of the district’s Ngok Dinka are expected to vote for unification with the South, but the nomadic Missiriya Arabs of South Kordofan who pasture their herds there demand to be included in the voting. So far this issue has not been resolved and there are few signs the referendum will take place on time. Khartoum has said a postponement is necessary and Missiriya anger is threatening to create new violence in the already war-ravaged territory. Kiir has promised an SPLM government can provide services to the Missiriya, but cannot hand over the land to Missiriya control (Miriya FM [Juba], November 17). SPLM officials now speak of annexing Abyei if a referendum cannot be held, but only after making significant financial concessions to Khartoum. Kiir has promised the Missiriya will continue to be allowed to graze their animals in an independent South Sudan: “Even if they come up to Juba, nobody will stop them” (Sudan Tribune, October 1). However, Kiir may find it difficult to back up such a promise under new attitudes to the presence of Arab nomads in an independent South Sudan. Many Southerners have fresh memories of the Missiriya’s role in the pro-Khartoum murahileen militias, accused by many Southerners of conducting widespread atrocities against the civilian population designed to break support for the SPLA/M during the civil war. Though Kiir has managed to build a façade of unity going into the independence referendum, he has also surrounded himself with former rivals of questionable loyalty. Tribal tensions between Nuer and Dinka are never far from the surface and there is every possibility an aggravated dispute over posts, appointments and revenue sharing in an independent South could easily lead to a localized civil war, fueled by opportunists in Khartoum who would like to see the new state fail. As the vote grows ever closer there are indications that the leaders of the NCP, highly skilled at manipulating the international community, may attempt to force a postponement of the referendum on technical grounds. Kiir has said that the SPLA/M will not declare unilateral independence, but will instead press forward with the vote without the cooperation of Khartoum. The legality of such a step, not provided for in the 2005 CPA, would give Kiir’s opponents ample ammunition to disrupt the independence movement. The SPLA/M’s structure of a dual military/political command has served as a model for a number of other Sudanese rebel movements since its formation in 1983. 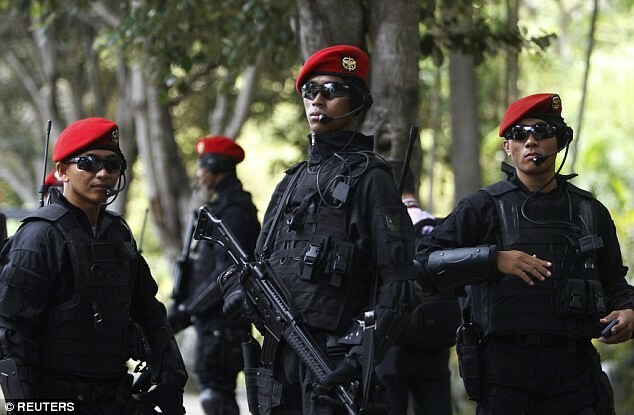 As a member of the militant Tala’al al-Fateh (Vanguards of Conquest, a branch of Egyptian Islamic Jihad – EIJ), al-Banna found himself pursued by police in 1993 after the group attempted to assassinate Egyptian Prime Minister Atif Muhammad Nagib Sidqi. 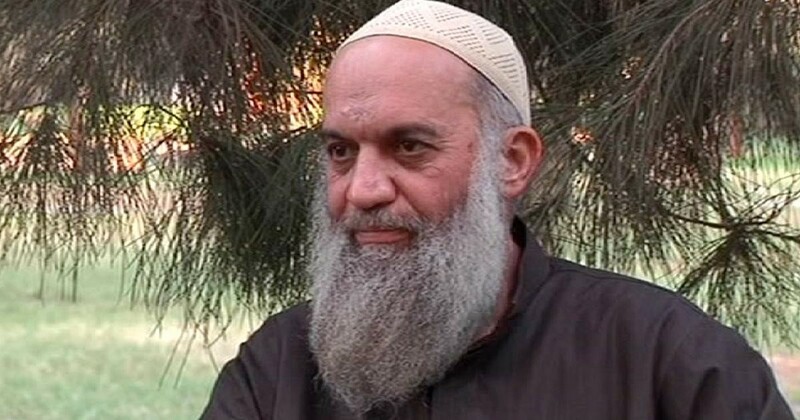 Al-Banna and a number of other militants forged travel documents and escaped to Yemen, where they found refuge with a community of EIJ members in Abyan led by Muhammad al-Zawahiri, brother of Dr. Ayman al-Zawahiri. The Egyptians began organizing and moved to Amran governorate in northern Yemen, where Ayman al-Zawahiri arrived in 1994 to take over command of the group. Al-Banna claims al-Qaeda established ties with Houthist rebel leaders in northern Yemen and “all the chieftains of the southern tribes,” as well as enlisting in its ranks “a very large number of Yemeni tribesmen, mujahideen and fugitives from Yemeni security.” According to al-Banna, the Houthists made “hundreds” of purchases of all types of arms from al-Qaeda. Much of al-Banna’s confession seems to implicate the southern secessionists and the Zaydi Shiite Houthist rebels of north Yemen as willing associates of al-Qaeda, a claim long advanced by the Yemen government with varying degrees of acceptance. Al-Banna’s claim to have never actively participated in any operations or to have any knowledge of who was involved is likewise suspect. Malian troops rendezvoused with Mauritanian forces roughly 50 miles north of Timbuktu last week as the two nations began joint counter-terrorism patrols in northern Mali designed to eliminate the presence of al-Qaeda in the Islamic Maghreb’s southern command. 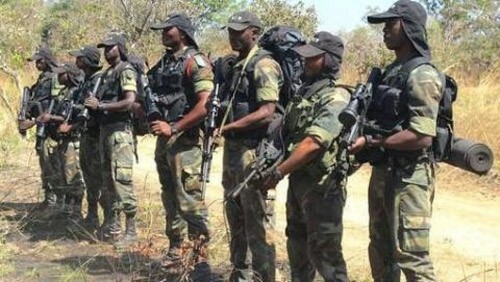 It is the first time Malian troops have joined their Mauritanian counterparts, who conducted operations with French military support in northern Mali in July and September of this year. The new patrols are expected to cover both sides of the common border in the Sahara/Sahel region. According to a Malian officer attached to the new force, “Today we are in the Malian desert. Tomorrow, together we can, we will go into the Mauritanian desert. The problems of Mali are the problems of Mauritania and the problems of Mauritania are those of Mali” (AFP, November 4). Mali’s army chief of staff, General Gabriel Poudiougou, arrived in Mauritania on November 4 to discuss military cooperation between the two nations, which have had serious differences in the last two years over the appropriate response to AQIM’s growing operations in the Sahara/Sahel region (Sahara Media, November 5; AFP, November 4). Mauritania has been criticized in some quarters for acting as a Western proxy, especially on behalf of France and the United States, both of which have been involved in training Mauritanian troops. Mauritanian President Mohammed Ould Abdel Aziz denounced those who “have been echoing the propaganda of the enemies, accusing us of waging war by proxy… All these rumors, all this false propaganda, will only reinforce our determination to defend our country and preserve its independence and sovereignty” (Ennahar [Algiers], October 24). The patrols start as four AQIM members were reported killed in an attack carried out by Arab tribesmen from the Timbuktu area, allegedly a well-planned response to the AQIM assassination of Lieutenant Colonel Lamana Ould Bou, a Malian intelligence officer and a leader of Mali’s Bérabiche Arabs (AFP, November 4). The clash would mark an important setback for AQIM, which has worked hard to establish links with the Bérabiche community, though Malian security forces deny the encounter took place. Mauritanian troops have been trying to win over the loyalty of local tribes through the distribution of tea, sugar and medicines (AFP, November 7). France’s Direction Générale de la Sécurité Extérieure (DGSE – French external intelligence) and various French Special Forces and Air Force units are deeply involved in the ongoing search for five French nationals and two African employees kidnapped from the French uranium works at Arlit in northern Niger. The men were taken by AQIM in mid-September and are believed to be held at AQIM bases in northern Mali. Though the French are ready to act once the hostages are located, Paris also hopes to avoid a direct military confrontation with AQIM. According to French armed forces chief-of-staff Admiral Edouard Guillaud, France, the region’s former colonial power, “should be careful not to provide AQIM with the enemy it needs to exist and prosper” (Le Monde, November 4). In an effort to create insecurity in Yemen’s south in anticipation of a major Gulf region sporting event to be held in the area, the Yemen-based al-Qaeda in the Arabian Peninsula (AQAP) has announced the creation of its own Aden-Abyan Army, even though the name has been used by a separate militant organization since the early 1990s (al-Malahim, October 11; al-Watan [Sana’a], October 15). The announcement was made in an audiotape issued by Qasim al-Raymi (a.k.a. 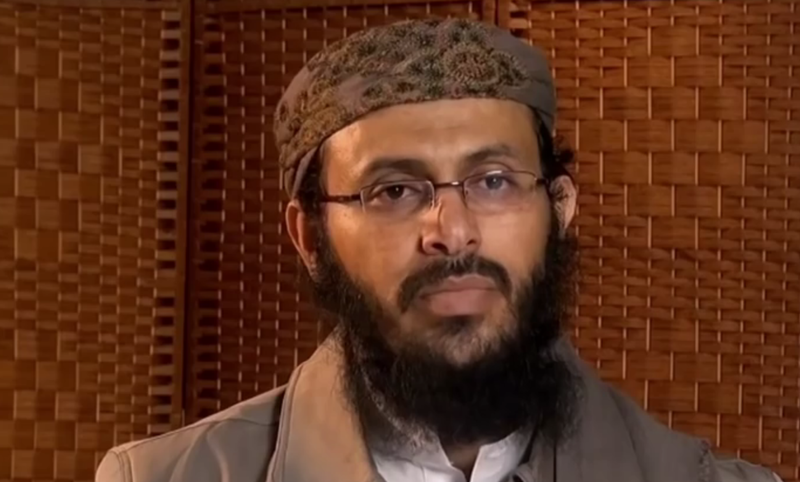 Abu-Hurayrah al-San’ani), AQAP’s military commander. Al-Raymi, a former associate of Osama bin Laden, was one of 23 convicted militants who escaped in February 2006 from the Political Security Organization’s (PSO) high security prison in Sana’a (see Terrorism Focus, February 7, 2006). Authorities announced his death three separate times, in August 2007, December 2009 and January 2010. Yemen’s existing Aden-Abyan Islamic Army (AAIA) was established in the early 1990s by Abu Hasan Zayn al-Abadin al-Mihdhar. After al-Mihdhar’s execution in 1998, the leadership of the movement passed to Shaykh Khalid Abd al-Nabi (a.k.a. Khalid Abdulrab al-Nabi al-Yazidi), but the militant movement has been relatively quiet since Shaykh Khalid obtained a pardon from the government in 2005 (al-Hayat, October 11, 2005; see also Terrorism Monitor Brief, August 5). In a recent interview Shaykh Khalid was guarded on the question of AAIA’s current status, stating, “I cannot say definitively whether [the AAIA] actually exists and is effective or anything else” (al-Quds al-Arabi, July 9). 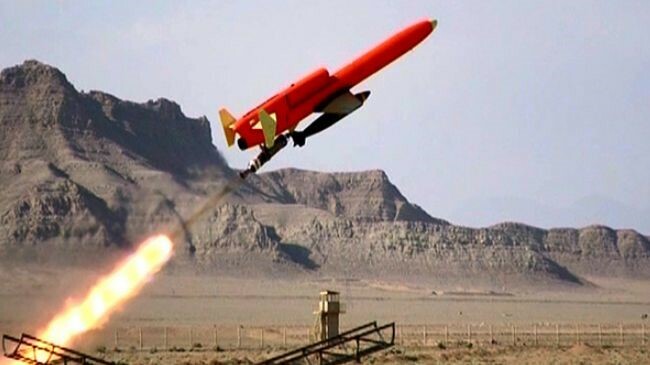 The AAIA and the new Aden-Abyan Army take their name from an apocryphal prophecy by the Prophet Muhammad that predicts an army will arise from Aden-Abyan in the last days to fight for victory in God’s name. According to the AAIA leader, “No one can say he represents the army of Aden; when God wills, the army will inevitably emerge. As to when this will happen, only God knows” (Asharq al-Awsat, September 26). The stated aim of AQAP’s new Aden-Abyan Army is to liberate the holy places of the Arabian Peninsula and “purge its land from the Crusaders and their apostate agents [i.e. the Saudi royal family and the Saleh regime in Yemen]” (Yemen Post, October 14). More specifically, the announcement is regarded as a threat to an upcoming international football tournament. The Gulf 20 Football Championship is scheduled to be held in the volatile Aden-Abyan region between November 22 and December 5. President Ali Abdullah Saleh has pledged 30,000 soldiers and police will form “three belts of security around Aden, Abyan and [the neighboring governorate of] Lahij” (Arab News, October 12; Saba Net, October 23). AAIA’s Shaykh Khalid Abd al-Nabi has denied reports that he was paid by the governor of Abyan to mediate with local jihadi groups to ensure calm during the Gulf 20 championship (Asharq al-Awsat, September 26). In what may have been a demonstration of AQAP’s seriousness, two bombs killed three people at Aden’s al-Wahda sports center on the same day al-Raymi’s statement was released (Arab News, October 12). No official claim of responsibility was made, but authorities arrested 19 suspects, some of whom are thought to have ties to AQAP. The AQAP commander cited mujahideen victories in Afghanistan, the Caucasus, Iraq and Somalia in his statement, but also boasted of AQAP’s failed operations, including the unsuccessful assassination attempt on Prince Muhammad bin Nayif and the failed Christmas Day airliner attack by inept “underwear bomber” Umar Farouk Abdulmutallab (for Bin Nayif, see Terrorism Monitor, September 17, 2009). Al-Raymi also described American airstrikes in Yemen (such as the July attack that killed the deputy governor of Ma’rib) as “counterproductive to the Americans and in favor of the Servants of Allah, the mujahideen” (Yemen Observer, October 14). In his statement, al-Raymi described the formation of two wings in AQAP: one to carry out operations outside of Yemen and another that will engage Yemeni forces in an internal “war of attrition and exhaustion” (Ilaf.com, October 18; Yemen Post, October 14). According to al-Raymi, AQAP’s financial restraints prevent the organization from accepting all “the brothers who arrived to join us.” He urges them instead to prepare for an eventual role by pursuing studies of Shari’a and technical fields such as chemistry, physics and electronics. Al-Raymi’s description of difficulties in accepting recruits was at odds with a July 29 statement from AQAP field commander Muhammad Sa’id al-Umdah Gharib al-T’aizzi who claimed “an army of 12,000 fighters is being prepared in Aden and Abyan” (al-Malahim, July 29). According to our information, the terrorist groups were regrouping to attack us. We effectively benefited from French logistic support that has enabled us to conduct our offensive attack. We will repeat this sort of operation whenever we can, and we will not wait to be attacked and then retaliate. When we have information about the existence of operational bases, we will do our best to destroy them. We have transferred the battle circle to the strongholds of the aggressors, away from our borders in order to, on the one hand, prevent them from launching their shameful operations in our populated regions and, on the hand, with the aim of carrying out our global development programs in an atmosphere of security and peace (Maliweb, October 27, 2010). The forum was boycotted by most of the opposition parties, who complained of being invited only at the last minute (PANA Online [Dakar], October 25, 2010). September’s Franco-Mauritanian operation, which resulted in the death of two Malian women, proved an embarrassment for Mali’s president Amadou Toumani Touré. Malian troops had an almost negligible role in the operation, which was carried out close to the city of Timbuktu. Malian spokesmen at first denied any knowledge of the foreign military intervention, but by late October the president had acknowledged being informed of the operations, even claiming the mission “was largely supported, if not accompanied, by the Malian Army” (Radio France Internationale, October 25; Le Soir de Bamako, October 27, 2010). Nevertheless, Mauritania is trying to distance itself from being seen as a security proxy for France and the West. Ould Hamadi confirmed that the government was seeking to upgrade Mauritania’s arms and military equipment, but tried to emphasize the limited French military role. 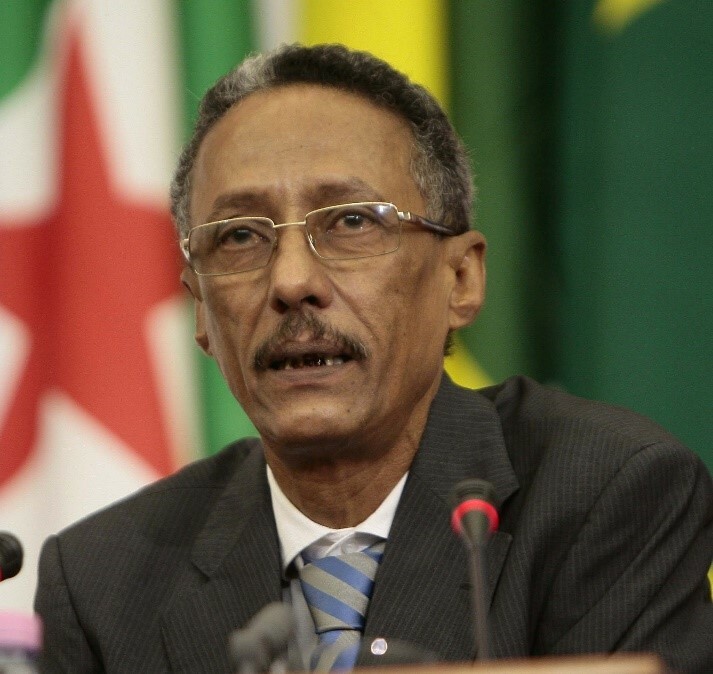 He stated, “There is no French base in Mauritania, nor will there be, not for France, nor for other countries.” In an effort to not be seen as the West’s ally in the “War on Terrorism,” President Abdelaziz has explained several times that Mauritania is “not engaged in an open war against al-Qaeda or any other person,” suggesting instead that Mauritanian military operations are directed at “armed criminal bands” (al-Jazeera, October 9, 2010). According to an AQIM statement, however, the president is an “agent of France” and the Mauritanian army is “acting in the way of infidels and crusaders who kill innocent people in Afghanistan and Iraq” (Ennahar [Algiers], September 21, 2010). This article first appeared in the November 4, 2010 issue of the Jamestown Foundation’s Terrorism Monitor. 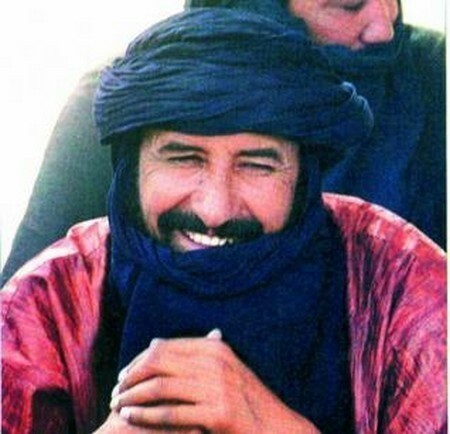 Tuareg Rebels Joining Battle against al-Qaeda in the Sahara? On October 14 former Tuareg rebels under the command of Ibrahim ag Bahanga attacked a heavily armed convoy of cocaine smugglers roughly 60 miles from the northern Mali town of Kidal. Some 12 people were killed in the clash in which the Tuareg fighters received “material support” from the Malian army, according to a local government official (Reuters, October 18; Jeune Afrique, October 18; Afrique en Ligne, October 20). It is unclear whether the Tuareg fighters were acting under their own initiative as a kind of demonstration of their potential in combating AQIM and narco-traffickers, or whether the action was officially sanctioned by the Bamako government, which has so far been reluctant to rearm the Tuareg. The traffickers were alleged to be running a shipment of cocaine from Morocco to Egypt across the sparsely populated Sahel region. Ag Bahanga is a noted smuggler and rebel commander who is a leading proponent of transforming former Tuareg rebels into armed units tasked with expelling al-Qaeda operatives from the Sahel/Sahara region. Though his proposal was given a sympathetic ear in Algeria, the long-time rebel is little trusted in Bamako and continues to operate from self-imposed exile in Libya. Ag Bahanga’s proposal has elicited little sympathy from Mali’s press. One commentator noted that “in the recent past Bahanga has demonstrated proof of his inconsistency and his warlike inclination by swearing peace one day and indulging in atrocities the next day” (Info Matin [Bamako], October 20). Another commentator complained that Ag Bahanga’s “renewed patriotism” was “hard to understand” and rearming the Tuareg could turn Mali into “another Afghanistan” (Nouvelle Libération [Bamako], October 12). Nevertheless, the Tuareg attack came only days after Ag Bahanga was reported to have met with Malian president Amadou Toumani Touré on the sidelines of the October 10 African-Arab summit meeting in the Libyan city of Sirte to discuss the reintegration of Ag Bahanga and his men into the Malian army (Nouvelle Libération [Bamako], October 12). According to former rebel spokesman Ahmada Ag Bibi (now a parliamentary deputy in Bamako), “AQIM wants to dirty the image of our region. We aren’t going to accept that. 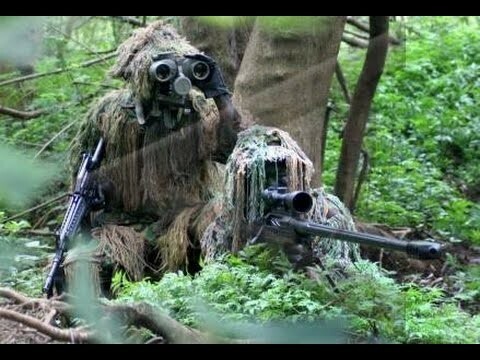 [AQIM fighters] often seek shelter on our land, and we know the terrain. If we were armed we could easily take care of them… We’re just waiting for the Malian government to give us the green light to chase al-Qaeda from our desert” (AFP, October 10). The 2006 Algiers Accord between Bamako and the Tuareg rebels provides for the establishment of Tuareg military units under officers of the Malian regular army, but like many aspects of the accord, these provisions have never been implemented. There are indications now, however, that such units may be formed soon – according to an authority in the Kidal administration, their establishment may be only weeks away (Afrique en Ligne, October 20; Ennahar [Algiers], October 10). A small number of Tuareg are believed to be working for AQIM as drivers and guides, though there are also unconfirmed reports that a Tuareg imam from Kidal named Abdelkrim has become an amir in the AQIM organization (Libération [Bamako], October 31; Jeune Afrique, October 9). Though direct Tuareg participation in AQIM activities may be limited, there are signs, nonetheless, that the massive influx of cash into the region from AQIM-obtained ransoms has had an indirect benefit to the Tuareg and Arab tribes of the region. In the town of Kidal, expansive new villas and shiny 4 x 4’s have begun to appear in a region almost entirely devoid of development (Libération [Bamako], October 31). A veteran Tuareg rebel, Iyad ag Ghali, has been designated as the government’s official mediator with AQIM forces in northern Mali (Le Républicain [Bamako], October 4). An AQIM katiba (military unit) led by Abd al-Hamid Abu Zaid is believed to have established bases in the rugged Timetrine Mountains of northern Mali (once a refuge for Tuareg rebels) and is currently believed to be holding French and African hostages there who were kidnapped from the French-owned uranium operations in neighboring Niger (Le Monde, October 18). Many Malian politicians complain that they have been excluded from the decision-making process in regard to the security of northern Mali. Such decisions are now made exclusively by the president, himself a former military commander in the north, and a small group of senior officers, including General Habib Sissoko, General Kafougouna Kone, Brigadier Gabriel Poudiougou and Colonel Mamy Coulibaly (Jeune Afrique, October 9).